DAY 69 of SP…. 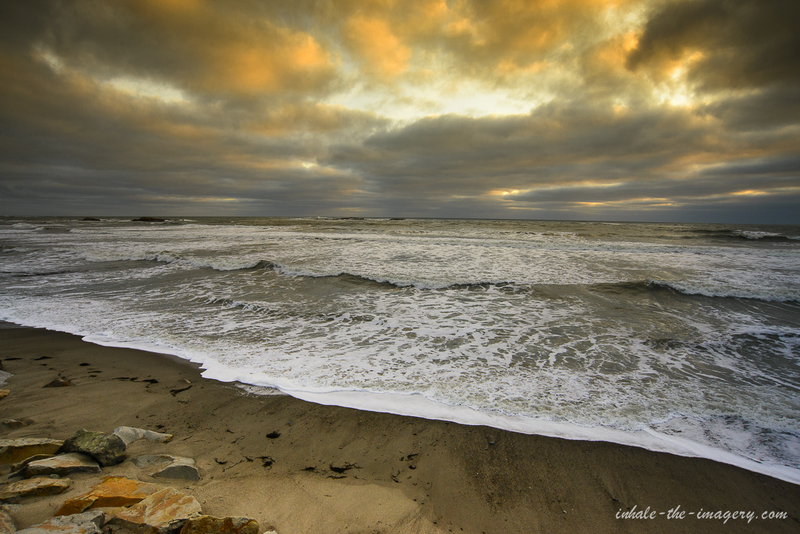 A calmer ocean allows me to get on the beach… The clouds have strange lined-light covering the primary color spectrum. It caused problems with the camera and eye. I found an outcrop of illuminated rock, reacted quickly. Set the WB to a much warmer temperature to get rid of those rainbow lined clouds.. That’s ok, for the temps are warmer but the skies are a slightly more blue than what camera saw through yellowed-digital lens .. I fired…Made for an interesting sunrise shot.